What is a Credit Rating & a Credit Score? 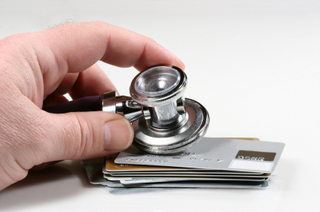 Your credit rating is a measure of your financial health and financial trustworthiness. From a statistical point of view, your credit rating reflects how likely you are to make your payments on time and repay your debts. If you apply for credit, lenders won’t send out a personal investigator to check up on you. They probably won’t try to call your friends and family, talk to your neighbours or call your boss to find out if they can trust you. That would be a lot of work and in the end, the information they glean might be very subjective. It is much more efficient for lenders to create a record of some of your financial activities and then assign scores to these financial activities based on whether those types of activities are deemed to potentially help or hurt your overall financial situation. A collection of all of these financial activities is called a credit report, and the score a credit report generates based on all of your activities is called a credit score. Your credit score and your credit report together form your credit rating. The types of financial activities that are recorded on a credit report include all types of revolving credit (credit cards, store credit cards, lines of credit and overdrafts, loans and overdue debts that are in collections). Mortgages are sometimes reported on credit reports by some financial institutions, but this doesn't always happen. There are two agencies in Canada that create credit reports: Equifax and TransUnion. All major banks, credit unions, credit card companies, finance companies and many other lenders and collectors report specific information to Equifax and TransUnion so that these agencies can create credit reports. Information is reported according to specific rules and can only be shared with lenders and creditors who follow strict policies. A creditor can only access your credit report with your permission, and no one else is allowed to see your credit report without your permission. Equifax and TransUnion generate credit scores on a scale that ranges from 300 to 850 or 900 (each company has a different maximum score). The score is a ratio that indicates, over the next 12 – 24 months, what the likelihood is that you’ll be able to repay your debts. For example, if your score is 680, it means that 680 out of 850 people are likely to repay their debt. If your score is 500, the likelihood that you’ll repay your debt goes down. So, the higher your score, the better, but not at all costs. Keep in mind, that if your finances are tight right now and your score dips, it will recover as your financial situation recovers. A low score may prevent someone from obtaining credit while a high score makes it easier to obtain credit. Since a credit score also reflects an individual’s likelihood of repaying a debt, people with higher credit scores can sometimes obtain better interest rates, while people with low credit scores are sometimes charged higher interest rates because they are deemed to be a higher risk. Credit reports can be used for more than just borrowing money. Some jobs require that your credit bureau be checked as a condition of employment. Some landlords may also request that tenants provide a copy of their credit report to rent a home. A landlord may view a renter’s credit report as a reflection of the tenant’s character and the likelihood that the renter will pay their rent on time. Good credit can make life a little easier and bad credit can make things more difficult. If you have bad credit, you can learn how to re-establish your credit by clicking here.